Specially formulated to quickly dissolve hair clogs. Great for use in sinks, baths and shower drains. Safe for pipes and septic systems. 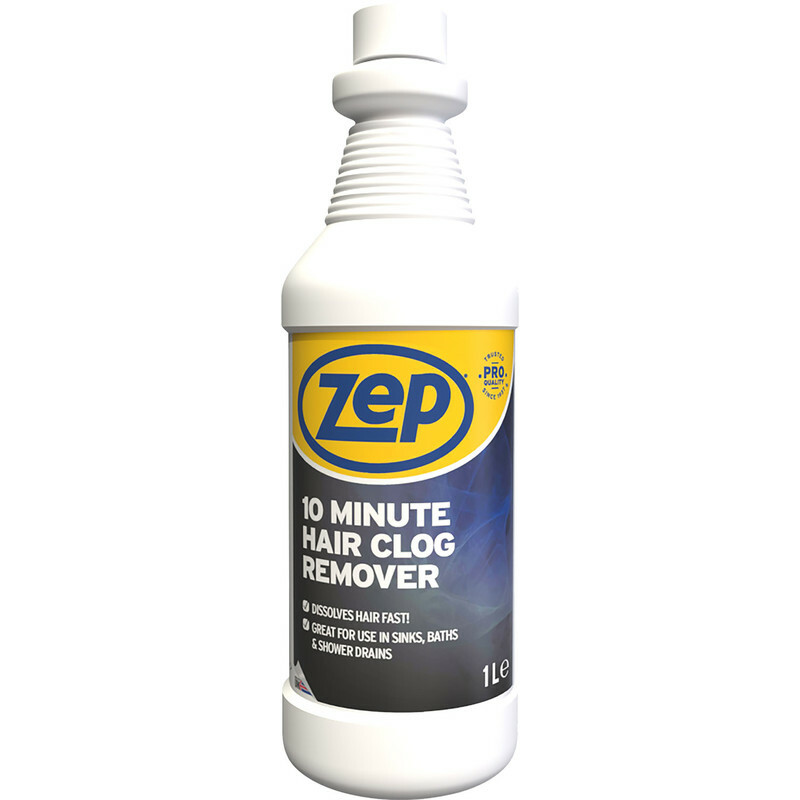 Zep Commercial 10 Minute Hair Clog Drain Unblocker 1L is rated 5.0 out of 5 by 2. Rated 5 out of 5 by Philthy13 from Worked first time Had a slow draining shower and could access the hairball blockage. Tried another product first and it did nothing. Bought this stuff and it cleared the pipework first time. Half a bottle used and I waited 30mins rather than 10 before rinsing. Very impressed. Rated 5 out of 5 by BrianD46 from Does what it says I used half a bottle to unplug my bath drain, which has been partially blocked for months despite numerous other attempts to unblock it. This product did it successfully at first attempt.